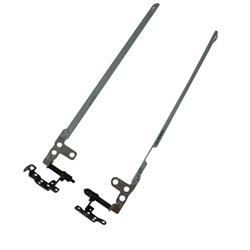 Description: New genuine Acer laptop left & right lcd hinge bracket set. Please check the pictures carefully. There is more than one set of hinges for the models listed below. **This hinge set does not work with the VN7-591 laptop series that has a ultra high definition screen. Compatible Part #'s: 33.MQJN1.002, 33.MQJN1.003, 434.02F02.0002.